Are We A Perfect Astrology Match? The Holidays are approaching and you find yourself feeling frustrated with areas like higher education, travel and publishing, as Mercury Retrograde opens the month slowing things down for you, Aries. If travelling during this transit, make sure you double check times and dates for accuracy. There could be unexpected delays or the need to review certain areas like relationships with foreign people and travel to foreign places. Distant shores might be calling, but travel after the13th in order to avoid hassles. You find that conditions are more suitable and filled with less drama after this date. On December 10 there will be a lunar eclipse in Gemini and your 3rd House. Remember that eclipses are about beginnings and endings, especially when they fall in opposite signs. So look at the way you communicate with others this month and play extra close attention when taking short trips and when spending time with relatives and siblings. Proceed with caution as these areas could be super sensitive and the last thing you want is a drama filled Holiday. Prepare yourself for some surprises that you had not anticipated, and expect emotions to be at an all time high throughout the month. You might get news that might shock or surprise you! You could feel emotional throughout the month as finances or communications might not be as ideal as you might like but you have the stamina to do whatever it takes to make the best of a not so great situation and turn it into a positive. Realize, Aries, that everyone is feeling the effects of the eclipse and the addition of all planets moving at their maximum capacities, plus Mercury retrograde. Expect to wave goodbye to stability this month and start getting used to having Uranus (planet of surprise) in your first House. This month it resumes direct in your 1st House on 12/10 and will remain there for an extended stay that lasts until 2019. 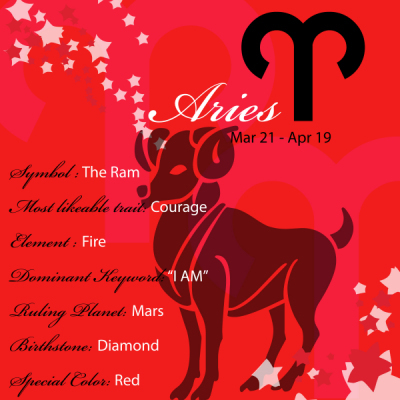 Aries, your love of excitement will be fulfilled via the surprises this planet has in store for you. You might not like everything you experience but you love a challenge and persistency is your challenge here. You will need to develop and cultivate tact when it comes to your professional and your private life. 2012 is all about the unexpected: your career, unpredictable events where it comes to relationships, where you live and even extends to what you thought was a sure thing turning out to be quite the opposite. Yes, Aries there are surprises galore in store for you. What was set in stone yesterday may no longer be the case in 2012 and you have the fortitude and foresight to navigate through just about anything, thanks to your ruling planet, Mars. 2012 is also a 5 year in Numerology. The # 5 is all about change, diversity and variety - for ALL signs. ©2003 - 2018(® 2013) Addicted to Astrology. For Entertainment Purposes Only. Picture Window theme. Powered by Blogger.